We’re nearing the end of 2018, but we still have a few flagship smartphones on the way. The Xiaomi Mi Mix 3, Honor Magic 2, OnePlus 6T, and Samsung’s foldable smartphone are launching soon, and each is interesting in their own right: the Mi Mix 3 and Magic 2 have nearly eliminated bezels by implementing a pop-up camera, the OnePlus 6T may be the first device sold in America with an in-display fingerprint sensor, and Samsung’s next device will be the first foldable device on the market. Each company will be touting the features they’re the first to bring to the table, but there are always other features that have already appeared on other devices in the past. For the Xiaomi Mi Mix 3, we have discovered evidence that the device may support a 960FPS video recording mode to mimic the likes of the Samsung Galaxy Note 9. Although the Sony Xperia XZ Premium and Xperia XZ2 were the first major Android devices with a 960FPS video recording mode, the Galaxy S9 and later the Galaxy Note 9 brought the “Super Slow Motion” feature into the mainstream. Sony should still get much of the credit because 960FPS videos on the Galaxy S9 are only possible thanks to the Sony IMX345. The presence of a DRAM die in the IMX345 allows the camera sensor to temporarily store the huge number of frames that are being captured in DRAM before passing the frames to the image buffer and finally writing them to the storage. That’s why the Galaxy Note 8 and Galaxy S8‘s Super Slow Motion feature only records up to 480FPS. After the Galaxy S9 and Galaxy Note 9 added the feature, we’ve seen competitors like Huawei add 960FPS video recording to the P20 Pro—but there was a catch. Unlike Sony or Samsung, Huawei apparently uses frame interpolation which results in noticeably lower quality 960FPS videos. According to the firmware files we dug through, it looks like the Mi Mix 3’s 960FPS video recording will also be using frame interpolation. Special thanks to XDA Junior Member franztesca, developer of the XiaoMi Tool, for first discovering this code and tipping us off about this feature. The code we examined was obtained by decompiling Xiaomi system APKs using PNF Software’s JEB Decompiler. In the latest version of the MIUI Camera app, a new camera feature has been added. The “SUPPORT_FPS_960” string is set to “s_f_9” which is checked in a method to determine whether to show the 960FPS mode. We examined the feature list for the device code-named “perseus” and found that s_f_9 is set to true. Hence, the device code-named “perseus” will support this new 960FPS video recording mode. We know from our previous firmware examinations that “perseus” is an upcoming Xiaomi flagship device because it has the Qualcomm Snapdragon 845 system-on-chip and is running on MIUI 10-based Android 9 Pie. Next, it seems that the slow-motion effect will be achieved by interpolating from 240FPS to 960FPS and then showing the video at 30FPS. 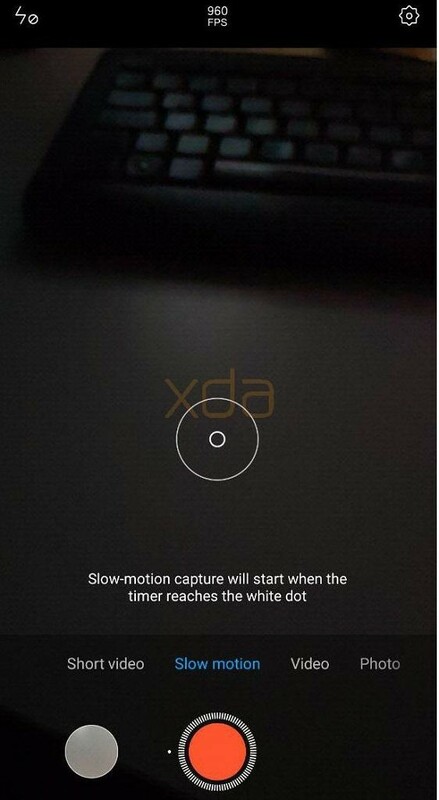 We don’t know what camera sensor “perseus” uses, but if Xiaomi is having to use frame interpolation to achieve the effect then it means the camera sensor is likely not capable of recording true 960FPS videos. If they’re using the Sony IMX363 again like in the Xiaomi Mi 8, Mi Mix 2S, and POCO F1, then it makes sense why they’re interpolating from 240FPS. We strongly believe that “perseus” is indeed the upcoming Xiaomi Mi Mix 3 because it’s referenced alongside the Xiaomi Mi Mix 2 (“chiron”) and Xiaomi Mi Mix 2S (“polaris”) as having an ultrasonic proximity sensor. The Mi Mix series uses an ultrasonic proximity sensor to achieve their iconic bezel-less design. We’ve been tracking “perseus” for over 4 months now and given the MIUI version branch it’s on, it seems to be close to release. Thus, “perseus” is most likely the Mi Mix 3. Lastly, since the 960FPS video recording code is already present in the latest version of MIUICamera, XDA Junior Member franztesca was able to get the feature showing in the app. However, it doesn’t work on his device. The Mi Mix 3 will be launching on October 25th, which is less than a week away! We’ve learned, from various leaks and teasers, that the upcoming Xiaomi Mi Mix 3 may support up to 10GBs of RAM, dual 24MP front-facing camera sensors, and a rear-mounted fingerprint scanner. We’ll be keeping an eye out on the Mi Mix 3 to bring you the latest news. We believe that the device may be launching internationally as software development on a “perseus_global” MIUI version has been in the works for some time now.